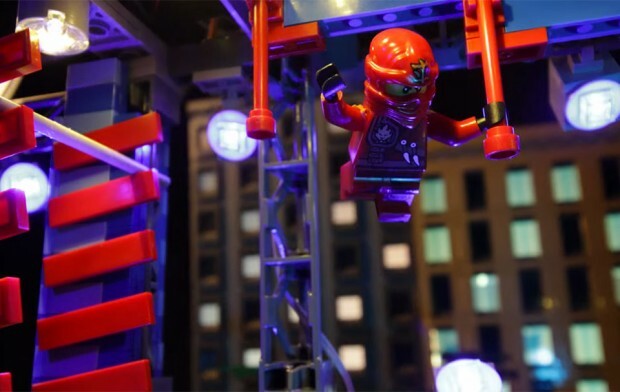 Check out this stop-motion video of a minifig from LEGO’s Ninjago series completing an American Ninja Warrior style obstacle course. He does an awesome job. The tension is pretty high, but he pulls it off like the champ he is. Kai the minifig sure knows what he is doing. The problem is, now I want to see LEGO minifigs compete on this course on a daily basis. Now that I’ve seen it, where am I gonna get my dose of LEGO warriors being badass? I guess I have to play with LEGO myself. See, that’s how they get you! I’m off to build a Ninja Warrior course of my own.